Synopsis (from the publisher): Arthur Pfefferkorn is a has-been, or perhaps a never-was: a middle-aged college professor with long-dead literary aspirations. When his oldest friend, bestselling thriller writer William de Vallèe, is lost at sea, Pfefferkorn is torn between envy and grief, for de Vallèe not only outshone Pfefferkorn professionally, but married the woman Pfefferkorn loved. 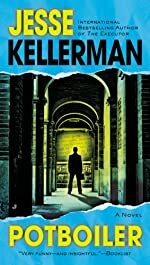 Pfefferkorn's decision to reconnect with de Vallèe's widow sets in motion a surreal chain of events, plunging him into a shadowy realm of double crosses and intrigue, a world where no one can be trusted — and nothing can be taken seriously.